This is the second half of my thoughts on two coffees Fratello sent. Both of these were new crops of coffee, and perhaps a hint at what the guys at Fratello will be up to in 2012. I’ve already posted a preview of the two coffees they sent us with some video, as well as my thoughts on the first coffee I opened: Costa Rican “Miguel Rojas” (available on their site). This review is for their Colombian “Alvaro Losada”. Brewed with 5.5grams of coffee, medium-fine grind, ~2.5 minute steep and 100 grams of water. In the aroma I was getting all kinds of components: slight berry, brown sugar, vanilla, stone fruit, chocolate and lemon. They acidity was nice and crisp (9+/10), sweetness was high (also 9+/10). It was a balanced coffee, rich mouthfeel and clean finish. I found the clean finish and sweetness made the coffee feel a little ‘plain’. Not necessarily a bad thing… I’ll explain. Brewed with 20grams of coffee via a Clever Dripper device, with 350 grams of water. This was a deliciously sweet coffee. I found it to be sugary (cane sugar), with cinnamon, maple syrup with chocolate malt as the predominate flavour. The finish was nice, but faded quickly – this is one of my only complaints about this coffee. Brewed with 16 grams of coffee via upside-down method and 220grams of water. I find the aero press to be more of a gadget than a reputable brewing tool (perhaps another post), however in this case it helped unlock some of the fruit components. I also found vanilla and spice. The acidity structure was not as nice as the Clever however. The overall cup was very sweet, clean and a great expression of a nice Colombian with some stone fruit and berry. Finish was a little quicker than I’d like personally. I’m including +2 cupping points (for its clean and crisp profile) pushing it to whopping 92 points! This review was not intended for espresso critique. However, I had some coffee left over and explored its possibilities. I found a good profile going from ~19.5 grams of coffee to ~29-30 grams of espresso in 26-27 seconds. It was intensely bright, had a molasses sweetness, malty, and faint blackberry/ blueberry. 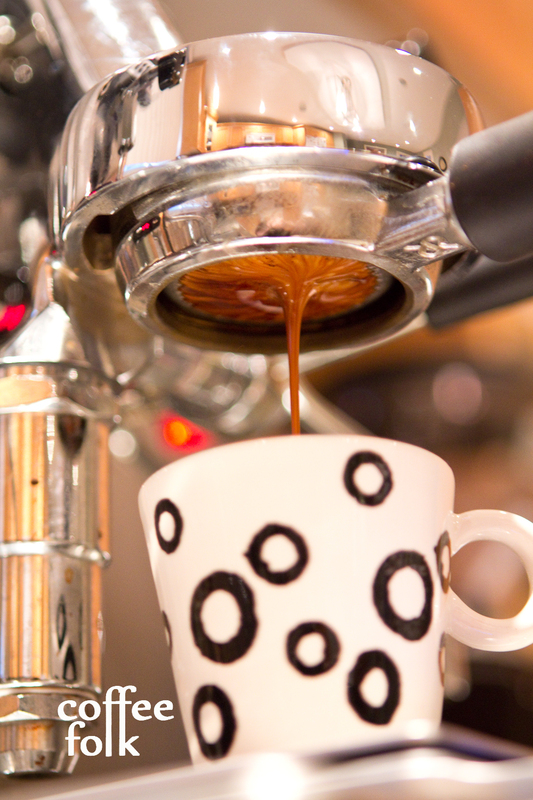 Milk simplified the espresso in some aspects, with mostly a sweet toasty and malty flavour. There was also notes of faint berry in the body of the drink. I’m going to include my espresso results in this score. This was an interesting coffee, one of the better Colombian’s I have had. It performed pretty well in all aspects, be that cupping/brew/ or espresso. My cupping score for this coffee was 92pts, and my espresso scoring was around 90pts. A good average here, resulting in 91pts for the total. Total 100 point score of 91/100. Near the end of 2011 I received two coffees from Fratello. 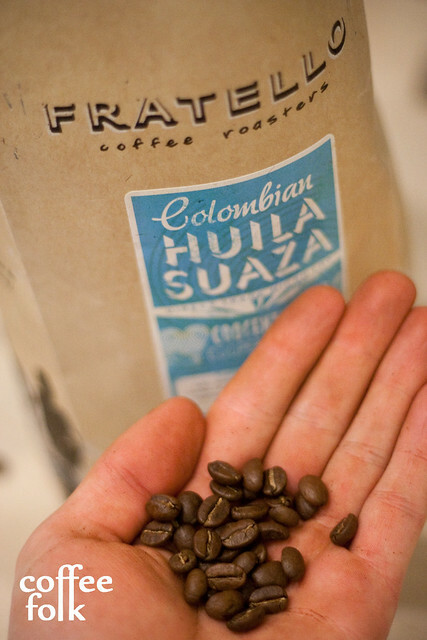 These were new crops of coffee, and perhaps a hint at what the guys at Fratello will be up to in 2012. I’ve already posted a preview of the two coffees they sent us with some video. You should go and check that out if you haven’t already. This review is for the first coffee I opened: Costa Rican “Miguel Rojas” (available on their site). Brewed with 5.5grams of coffee, medium-fine grind, ~2.5 minute steep and 100 grams of water. What struck me about this coffee was its uniformity. It wasn’t over-bearing in any of its components and was well balanced. My notes were short and simple: cinnamon, spice, chocolate, and some cane sugar. I also noted faint berry. The acidity was juicy and the mouth-feel was nice and round. This was a nice clean coffee. My notes were: aroma of vanilla, spice and sweetness. The coffee had a tart lemon/green apple acidity (crisp), and clove, citrus and a dry chocolate. Dry finish. Clever pour over of Costa Rican "Miguel Rojas"
Brewed with 26grams of coffee via Frieling. I found the french press muddied some of the clean and crisp flavours possible in this coffee. The flavour profile was similar to the clever, but a little more muted. I’m including +1 cupping points (for its clean and crisp profile) pushing it to a 89 points. My notes were few. I was able to find a profile similar to my cupping notes, with some spice, chocolate and some caramel sweetness. The caramel notes were amplified in milk. I made a 2oz macchiato as well as a 6oz cappuccino, and both had a creamy butterscotch flavour profile. I’m not including my espresso results in this score. It was included as a piece of mind, and for fun. Total 100 point score of 89/100. My main contact at Fratello is Russ Prefontaine or @FratelloCoffee2 on the twitter machine. From time to time, Russ will get in contact with to send out some coffees for feedback. It’s a pretty fantastic process and dialogue. 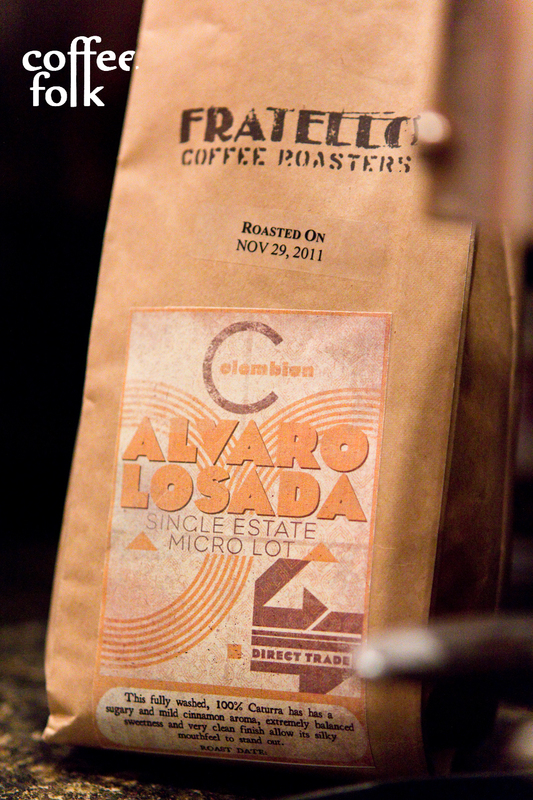 Costa Rican "Miguel Rojas" and Colombia "Alvaro Losada"
Included were two Direct Trade Micro lots. A Costa Rican “Miguel Rojas”, and Colombian “Alvaro Losada”. Both coffees will be getting separate and in-depth analysis, which will be posted over the next week. So it has been a little while since my last update… Truth is, I’ve very busy working. The good news is that I’m back behind the bar and in the speciality coffee industry. This entry is going to be entirely dedicated to Fratello Coffee Roasters and everything about the Prefountaine family name. Three coffees, the box, detailed information on the coffees and farms. I’ve been watching the Slayer Machines develop and hit distribution over the past 2 years or more via Jason @ slayerespresso.com. So, when the guys at Fratello hit me up via twitter, I was excited to see what they were doing. My main contact at Fratello is Russ Prefontaine or @FratelloCoffee2 on the twitter machine. He set everything up and sent out three large shop bags rush delivery roasted to order (certain day of the week). Once the package arrived, I opened everything up and took a photo. Inside were the three coffees, detailed info on each one, and a tea sample as well. For the sake of this review, I have narrowed my results to only two of the coffees: the Colombian Suaza Micro-Lot and Burundi Kinyovu Micro Mill. I will attack both separately, but it actually helps at times to compare and contrast the two. I also need to point out that I worked on all these coffees BOTH at the Coffee Folk lab and on a Nuova Simonelli Aurelia Digit WBC competition machine. Burundi Kinyovu Micro Mill, close up on the beans. The first coffee I began working with was the Burundi Kinyovu Micro Mill. As per usual I began at baseline with 19grams and made some guess work at the grind by texture. First shots were good, but slight tweaking was necessary. I was finding the best flavours consistently at 94degrees Celsius. The dose seemed to work best at 19-19.5 grams, with a final liquid weight of 32grams and all the to 38grams – however, best in the 32-34gram range. Total shot length of 26-28 seconds was ideal. Note, when I was pulling this on the Nuova Simonelli I found shots best at 25 seconds. As espresso at 94degrees Celsius with 19.5grams ground coffee in and 32-34grams liquid espresso out, there was a VERY pronounced orange and orange rind going on. Also found vanilla aromatics, sweetness, mellow chocolate, and some spice. Did significant work with the dose, and when shots were crutched to a small volume ( <28grams), I was able to find a more pronounced acidity and a grapefruity-ness. In a 6oz traditional cappuccino it mellowed out significantly. There was a nice caramel going on, with some spice/ bark and a little orange rind on the finish. Pulled on top of 5oz of hot water, I found many of the same characteristics as the straight shot. Perhaps the extra water opened up some more delicate notes likes spice and some clove-like play. Burundi Kinyovu Micro Mill in the cup, from the Nuova Simonelli Aurelia. Final review is at the bottom, keep on reading! The second coffee I worked on was the Colombian Suaza Micro-Lot. Colombian Suaza Micro-Lot, Direct Trade, close up on the beans. Again, I started at baseline and did the guesswork with the grind, working my way into the testing. This coffee, however, took more work to figure out then the Burundi I first played with. The dosing on this one was interesting. I was first pulling this at 19grams and into a final volume around 28-30 grams liquid espresso. 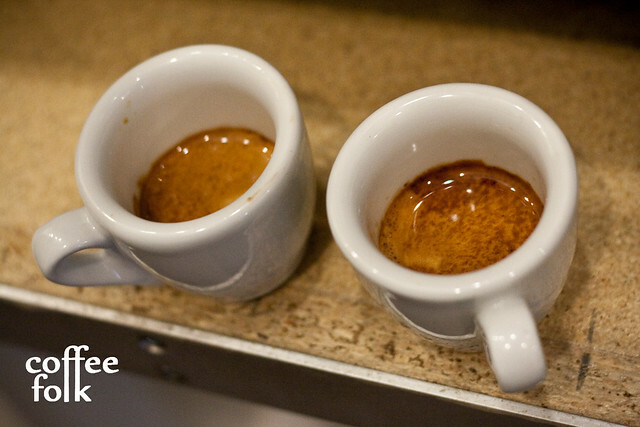 At one point I even played with a super-ristretto of 20 grams in and only 24 grams out. The results from this were interesting, and shots were acceptable. I was finding sweetness, toasty-ness, cinnamon and bark with a toffee thing going on. However, after playing around, I was able to unlock a lot more by brewing at 20 grams to a final liquid weight of 30-33grams. Total shot length of 26 seconds was ideal. Note, when I was pulling this on the Nuova Simonelli I found shots best at 24-25 seconds. As espresso at 94degrees Celsius with 20 grams in and ~30grams out, I was finding sweetness, stone fruit (dark cherry! ), an excellent mouthfeel, notes of spice, and an excellent balance. In a 6oz traditional cappuccino it was nicer than the Burundi. There was also a nice caramel going on, a buttery mouthfeel, and a cereal-like toasty play. It was very pleasing. 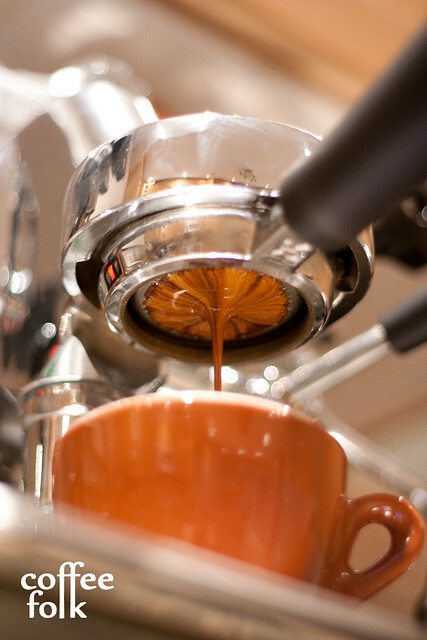 Colombian Suaza Micro-Lot, Direct Trade pouring on the naked portafilter. Pulled on top of 5oz of hot water, the americano was also nice. Most of the components were similar to the espresso profile, with stone fruit, spice and toffee. This was very complex and one of my favorite Colombians I’ve had in the past year or two. It really was tasty, and there was lots to find in this coffee. I’d happily correct the Colombia up a little. It was one of my favorite Colombians I’ve had in some time now. Total 100 point score of 91/100 points. The Burundi initially blew me away, but was rather one-note through the cup and changing the brew profile didn’t make for any further discoveries. However, it was a really damn good coffee, and beautiful as a straight espresso. I’d happily report Fratello’s latest coffees offerings are pretty excellent. 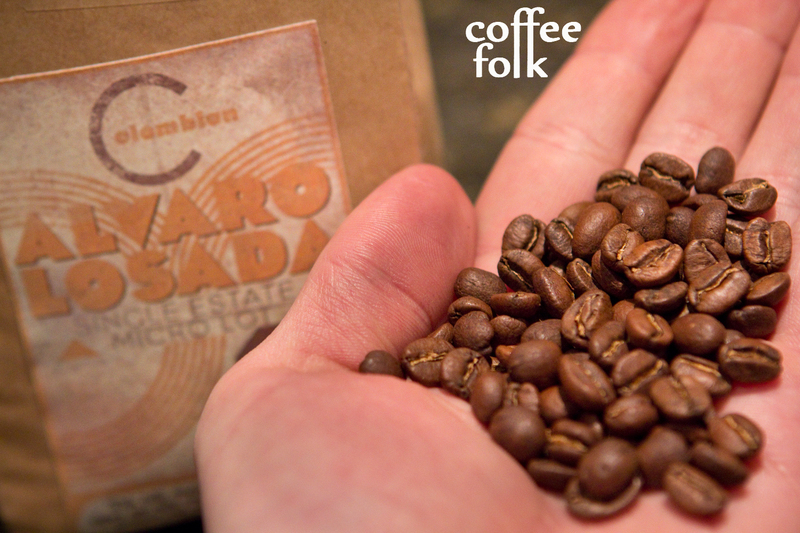 Quality product, direct trade coffees, and lots of information on the farms they deal with. Definitely high on the list of top Canadian roasters in my books.